In 1950, a small group of believers separated from a denomination which no longer taught that the bible was preeminent. After meeting in Waldo Yeager’s backyard, the old Academy Of Medicine building at 15th & Monroe Sts. in Toledo became available to purchase. After much prayer, the cash was raised and the building became the home of the Christian Fellowship of Toledo, the name which was chosen and incorporated. In 1979 the Lord provided at a reasonable price, 4.6 acres of land here on Pilliod Rd. which we thought could be a future home of the Fellowship. However, in 1982, because the downtown area was changing and businesses were buying the properties around us, and we were left with no residential areas nor any parking, the congregation, after searching for a better location, voted to purchase the old Seventh Day Adventist property at Auburn and North Cove. Blvd. The downtown property was sold to Gump Cadillac at a reasonable price. The Auburn property provided well for its’ time and the Lord was blessing us with significant growth in ’82 and ’83. As a result, and a desire to better minister to our people, the Board of Elders authorized an informal meeting of families interested in hiving off, to be held on October 2, 1983. Fifty-two people signed cards indicating they would like a new fellowship as an extension group. The Elders decided if two of our elders would be willing to Shepherd the group, they would give their blessing. The elders who agreed to do it were Harold Vernier and Herb Houck. Both Harold and Herb have since gone to be with the Lord. An organizational meeting was held on October 3, 1983. Those attending voted to incorporate and since it was decided to meet at the Southwest YMCA on Holland-Sylvania Rd., the name chosen was “Christian Fellowship of Toledo, South”. We then elected the first Deacons and approved a Constitution and By-laws. Our first meeting at the YMCA was held November 20, 1983, attended by 66 adults and children, and a general attitude of love and thanksgiving prevailed, and has continued throughout our many years of worshiping together, PRAISE GOD! While there, two more men were added to the Elders Board, and as time passed, the facilities became inadequate for our Sunday School, Children’s Church and Nursery. The Board prayerfully and diligently searched for another place to meet for over a year without God’s peace, until we became aware that the North Fellowship was thinking about selling the land on Pilliod Rd. We then met with their congregation and negotiated a fair price. At the same time we became aware that the Steward’s Foundation, a non-profit Christian organization had money to lend to evangelical assemblies for mortgages at an interest rate much lower than any banks were offering. The Board then surveyed the assembly as to our financial ability and commitment. The results were favorable, and after seeking God’s direction, a special meeting of the congregation was held on July 28, 1985, at which time a motion was approved to purchase the Pilliod Road land and to prepare a b uilding plan. Very shortly the money was raised and the land was purchased. With tentative plans for the proposed building, along with cost bids and a lot of faith, the assembly on December 22, 1985, approved signing a mortgage of $115,000, and the plans to construct a building the following summer. 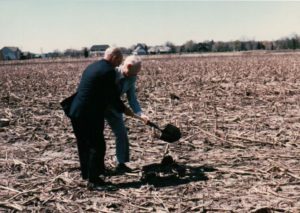 A groundbreaking dedication was held in the cornfield on a chilly Sunday, April 13, 1986, and construction started that same month. Our own men and ladies helped in whatever works that were permitted by the contract. 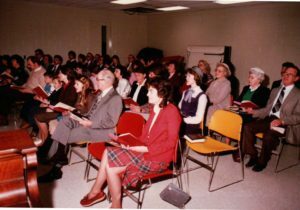 Construction was sufficiently complete late in the fall, permitting us to hold our first worship service and dedication in the new building on December 7, 1986. Present on the combined Elders-Deacons Board were, Elders, Harold Vernier, Herb Houck, Don Bickford and Lou Vasaturo; Deacons, Ken Falls, Wes Falls, Dave Smith, Martin Rossol, Glen Metts, Tom Trudeau, Jim Krumm and Steve Lovett. We experienced some growth and continuously asked the Lord to bring us some gifted men and women to help our small congregation with preaching, teaching, music, visiting, caring for young people, etc. After going through a difficult search, the congregation finally approved bringing in Paul Sapp from Emmaus Bible College, as full-time elder/ministry director in October 1989. Following Paul Sapp’s retirement, the Fellowship hired Allen Faubion as the Full-Time Elder. 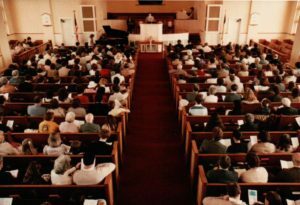 Allen contributed many innovative ideas but after a little over a year came to the conclusion that Christian Fellowship was not a good fit for him and his family. Allen resigned and subsequently returned to Texas where he has continued to be in full-time ministry. Then behold, in 1992, after meeting with our elders and telling how the Lord was leading them, approximately ten families joined us, having left a Plymouth Brethren assembly on McCord Road in Toledo. We were blessed with their knowledge of the Word and their willingness to be used by God for our edification. Several of these men are now serving on our Elders Board and many of the women are teaching our children and in many other ministries. In 1993 God brought in more families due to the closing of the Christian Fellowship North (as they became known to us), as a result of dwindling members and the sale of their building. Their remaining elders met with our board and requested that they join our congregation. We welcomed them with our Savior’s love and grace. God blessed us with continued growth and on December 3, 1995, in faith, our congregation voted in favor of a building expansion to our present size. 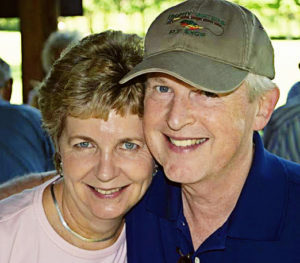 Due to declining health, Paul Sapp resigned in January 1998, and in April of that year, he and wife Elaine retired to Colorado, where Paul has since gone to be with the Lord. 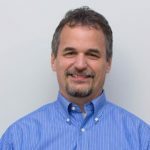 Terry Priestap held the office of Full-Time Elder/Ministry Director from 2002 through 2011 with the continuing “many man” ministry here at the Christian Fellowship. Terry retired from that role in 2012 and passed away in 2015 after a long battle with cancer. In the Spring of 2011, Daniel Kain moved with his wife Shannon and their three children from the Seattle area. Daniel served as Full-Time Elder until February 2017.